Clairvoyance and astrology are still somewhat taboo subjects. Yet many people are interested in their future lives: professional or personal. The horoscope is not only interesting to females. Men are also interested in astrology and fortune telling, some for fun and others for curiosity. The horoscope today is much more accessible than in the past. Horoscopes are abundant in the daily news papers. Further, since the advent of the Internet in our lives and in our homes, there is nothing easier than to get the horoscope of the week, day or month and they are usually free. That's probably why there are so many people who read it every day. Monthly horoscope is not as popular as before. There are so many sites on the net that show daily horoscopes for free 365 days a year and it is more interesting to know what happens every day in detail. These sites offer a multitude of services relating to astrology. You can check your daily personalized horoscope and of your whole month; it is also possible to consult astrology for free. To calculate the ascendant, one must know certain elements, such as the date and exact time of birth and place. When you check your horoscope and provide the relevant information to calculate your ascendant, horoscope of the day will be more comprehensive and will guide you about the flow of the day ahead. But do not take everything that is said seriously. Do remember that astrology is based on the observation and interpretation of the stars by an astrologer. It may not be totally relevant to your situation. Astrology is rooted in tradition. Astrology is primarily a way to understand the universe or the cosmos and ourselves. We have to get to know ourselves as wisdom is superior to anything else. 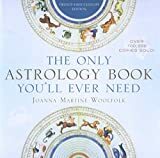 In modern times it has been suggested that astrology is false on its principles. How can planets influence our daily lives and our future? There is no influence of the course of the stars of our existence. Then how can astrology be relevant? The reality is that a single force directs the world, just as the center of a wheel orchestrates the total movement. Men women, planets and stars are all moved by this single principle. They are all linked as points on a circle and there are analogies between movements of the stars and the changes occurring on Earth. In other words, the sky may seem like a big book being written on our lives. The decoding of this data falls under astrology. The movement of the stars and the wave of radiation emitted by planets directly influence individuals on Earth. It is just the inability of the modern mind to conceive anything that is immeasurable. We at astroans are continuously working on our astrology to serve you better. We have with us most experienced of the astrologers who have gone through thousands of horoscopes collectively before making any predictions for you. Check us out and explore yourself at Astrology 2011. 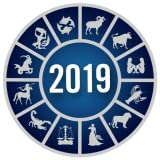 To directly get into the 2011 Yearly Horoscope click here 2011 Yearly Horoscope.